Ahly caretaker coach Mohamed Youssef has assured of the Red Devils' ability to secure the Egyptian Premier League title after their 2-1 win over Gouna on Wednesday. Youssef also explained the absence of the team's towering defender Salif Coulibaly, affirming that the technical staff has not made a determination regarding any player's leave. "Without doubt, the Egyptian Premier League trophy is our favourite title and we won't give up it," Youssef told a radio programme. "We only concentrate on winning our postponed games." The Cairo giants lost the services of the Malian Coulibaly in the last three games. 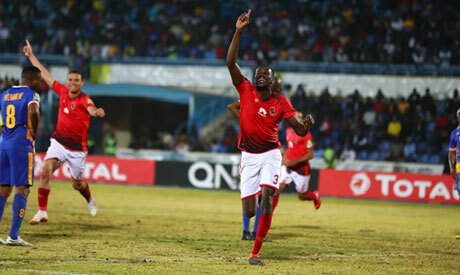 "Coulibaly was suffering from fatigue because of the games' sequence with Ahly and Mali's national team, so I decided to rest him and give a chance to Ahmed Alaa," the Ahly caretaker coach added. "It's early to determine the names of the players who will leave the team when the January transfer window reopens, as we still have two months to announce the names." The Red Devils continued their recent revival in the Egyptian Premier League following a run of poor form, beating Gouna 2-1 in the postponed game from week 7 on Wednesday. Ahly moved up to 10th with 17 points from nine games. Should they win their rescheduled matches, they will only be three points behind leaders and arch rivals Zamalek.